AverMedia Gaming Soundbar GS331 2.0 40W, Bluetooth SonicBlast GS331 е най-новият Soundbar за игри с 2.0 канала. С ниския си профил и оптимизиран дизайнт, ще откриете, че SonicBlast GS331 не само се в..
AverMedia Gaming Soundbar GS333 2.1 60W, Bluetooth SonicBlast GS333 е нашето предложение за 2.1 аудио soundbar система за игри с вградени събуфери. Създадена за геймъри системата е с технология..
AverMedia TV Soundbar AS510 2.0 40W, Bluetooth AS510 е нашата нов 2.0-канален soundbar предназначен да възпроизведе аудиото ви на следващо ниво. С невероятния си рационализиран дизайн ще откриете, че..
Тонколони Dell AC511 Stereo USB SoundBar Speaker Х-ка 1:Speaker Type: Active Х-ка 2:Audio Amplifier: External Х-ка 3:Sound bar - stereo - 2 Х-ка 4:USB powered Х-ка 5:Compatibility: E1914H, E2014H, E24..
Тонколони Dell AC511M Stereo Soundbar Х-ка 1:Dell Stereo Soundbar – AC511M offers clear stereo sound, allowing you to enjoy audio on your favorite games, music and movies, without sacrificing desk spa..
Тонколони Dell AD211 Bluetooth Portable Speaker Х-ка 1:Speaker - stereo - 2 x 2.5 Watt - - active Х-ка 2:USB charging, Speaker battery - rechargeable - Lithium Ion Х-ка 3:Nominal Output Power (Total) ..
Тонколони Dell AE515M Pro Stereo Soundbar Х-ка 1:Sound bar - for monitor Х-ка 2:Speaker Type Active, Frequency Response 90 - 20000 Hz Х-ка 3:Features 2 microphones, Nominal Output Power 5 Watt, Speake..
Тонколони Dell AX210CR Stereo Speaker Х-ка 1:2 speakers Х-ка 2:Speaker Type Active Х-ка 3:Nominal Output Power (Total) 1.2 Watt, Audio Amplifier Integrated, Х-ка 4:USB powered Х-ка 5:Черен ..
Тонколони Dell AX510 Soundbar Speaker for UltraSharp and Professional Series Monitors Х-ка 1:Full, rich stereo sound Х-ка 2:Features lightweight, elegant design Х-ка 3:Attaches easily to your UltraSha..
МАЛЪК РАЗМЕР, МНОГО ЯСЕН СТЕРЕО ЗВУК.Тонколони Logitech 2.0 Speakers Z150 - Midnight black Х-ка 1:Twin 2.0 dual input multimedia speakers allow 6 watts peak power and deliver clear stereo sound. 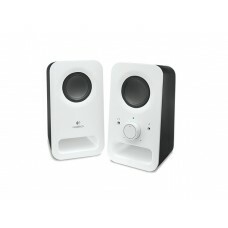 Х-ка ..
МАЛЪК РАЗМЕР, МНОГО ЯСЕН СТЕРЕО ЗВУК.Тонколони Logitech 2.0 Speakers Z150 - Snow white Х-ка 1:Twin 2.0 dual input multimedia speakers allow 6 watts peak power and deliver clear stereo sound. 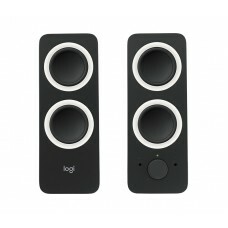 Х-ка 2:Co..
ЯСЕН СТЕРЕО ЗВУК С ДЪЛБОК БАС.Тонколони Logitech 2.0 Speakers Z200 - Midnight black Х-ка 1:These 2.0 speakers deliver 10 watts of peak power and rich, clear stereo for great acoustics and a room-filli..